Baby’s first word, baby’s first step, and baby’s first … fashion show? That milestone is expected when you’re the offspring of Kanye West and Kim Kardashian. 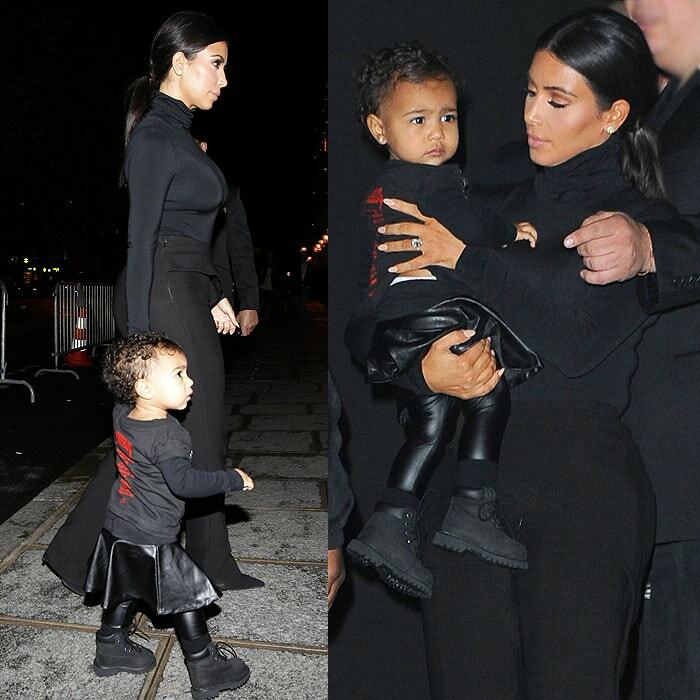 Fifteen-month-old North West tagged along with mommy and daddy to the Balenciaga Spring/Summer 2015 fashion presentation on Wednesday during Paris Fashion Week, where she naturally took her place right in the front row. 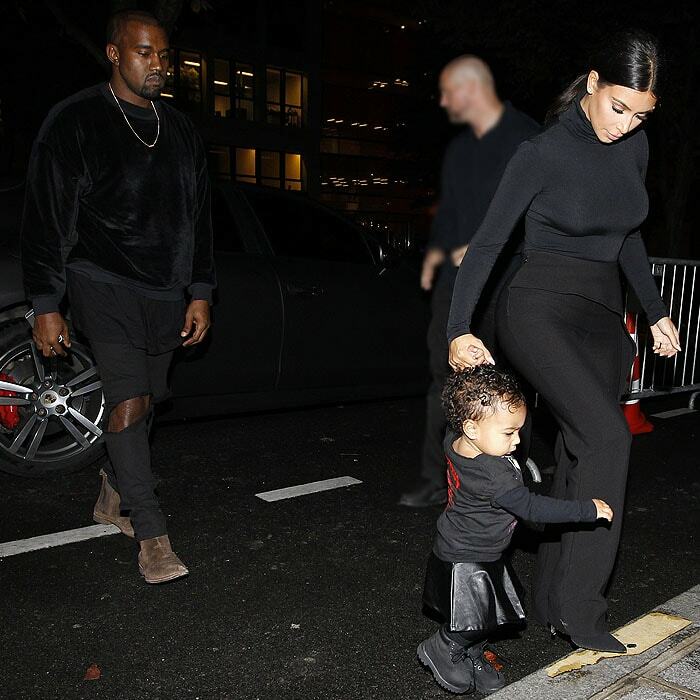 For an unplanned outing, Kanye, Kim, and North’s all-black outfits were very coordinated. 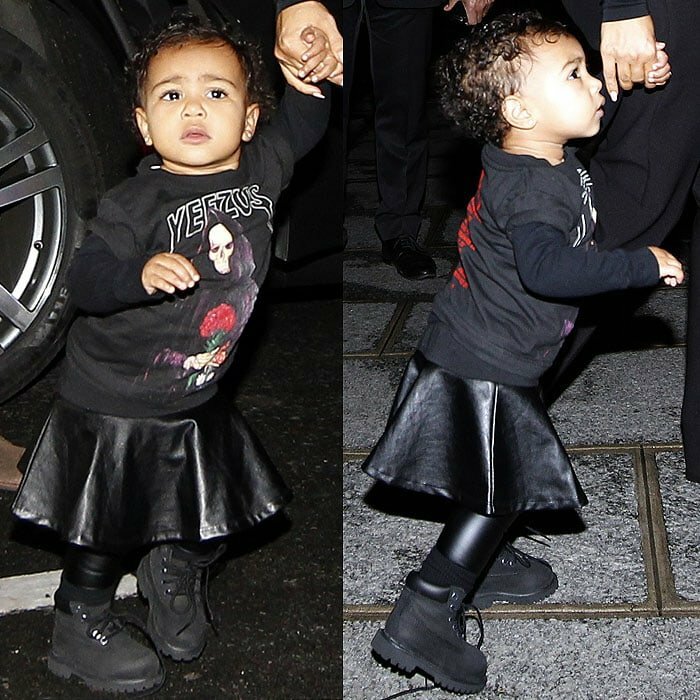 Mr. West wore a black velour sweatshirt and a pair of ripped jeans; Mrs. West was in a Balenciaga turtleneck, peplum pants, and pointy pumps; and Nori was in a daddy-approved Yeezus tour sweatshirt, a leather skirt, leather leggings, and Timberland boots. Kim’s shoes look to be the same Jimmy Choo “Anouk” pumps she wore to attend another fashion show. We don’t know why she didn’t wear her favorite Balenciaga pumps; it would have been more appropriate to wear them to a Balenciaga fashion show.